This is an Easy Pyramid Shape Math Puzzle for Kids. 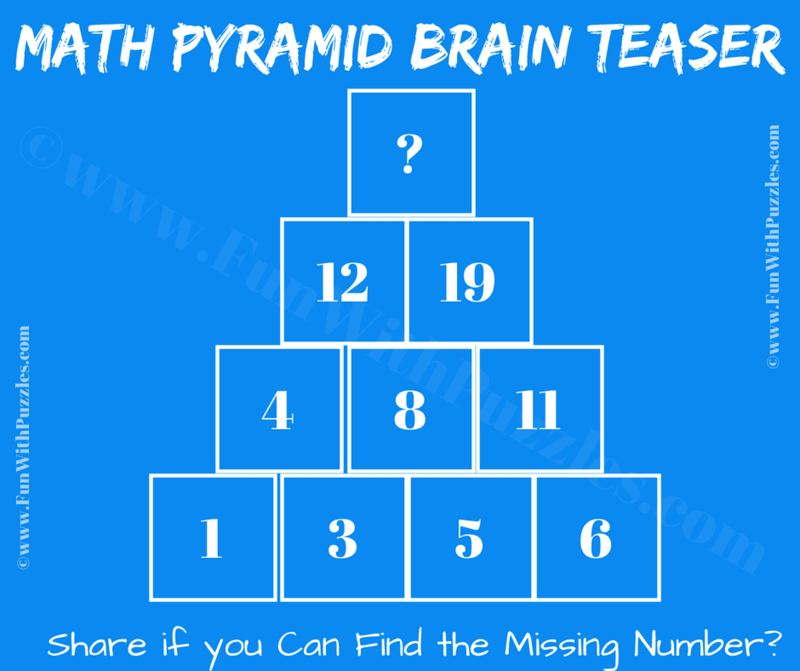 In this Math Puzzle, you are given number arranged in a pyramid shape. Your challenge is study the pattern of these numbers and then find the value of the missing top number. Can you find the missing number which will replace the question mark? 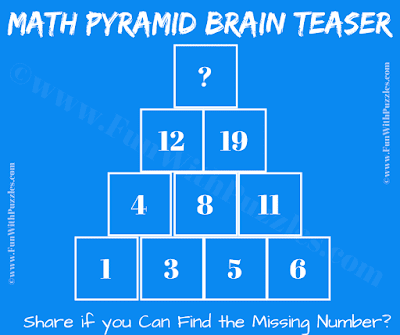 Answer of this "Pyramid Shape Math Game Puzzle for Kids", can be viewed by clicking on button. Please do give your best try before looking at the answer. Move upward to the peak by adding numbers from previous row.